Antisana volcano is a large, glacier covered stratovolcano 50 km SE Quito, Ecuador. It is located on the eastern margin of the Cordillera Real, at the latitude where the volcanic chain of the Northern Volcanic Zone is widest. Antisana is one of the largest volcanoes and highest peaks in Ecuador. The Antisana complex contains 2 generations of volcanic edifices, an older volcano cut by calderas and eroded by glaciers and a young cone. 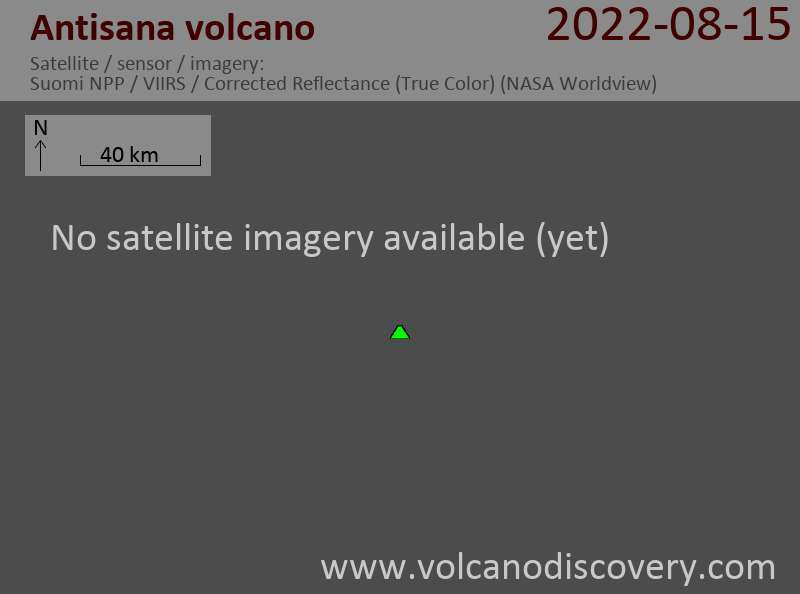 The only confirmed historical eruption was from 1801 to 1802, when a lava flow was erupted from a vent NNE of the summit. Antisana volcano is iside the Condor Bioreserve as part of the Antisana Ecological Reserve which comprises and area of 296,000 acres.